This yarn is softer than soft! We happen to be fortunate to have a black female and a white male in our herd that have almost identical fleece characteristics so Round Barn Fiber Mill created this 2 ply yarn that turned out great. Thanks to Snowdrift and Willow we are able to offer this buttery soft yarn for your next project. 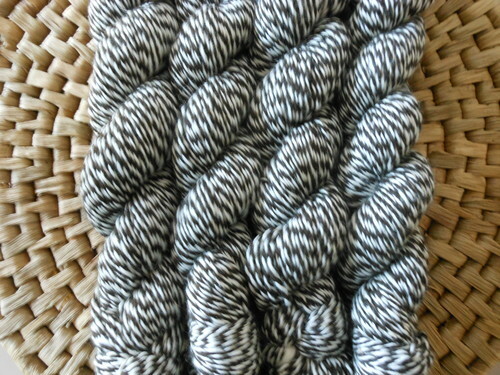 At this time there are 20 skeins available so if you have a big project in mind order soon. If you are ordering 5 or more skeins please call Deb at 618-558-8390 and we will provide a quantity purchase discount.